Every once in awhile you stumble across something fantastic. We certainly have here. This revolutionary synthetic material known as the Sport Leash has the look and feel of leather, provides exceptional grip and strength, wicks away water and will not rot. 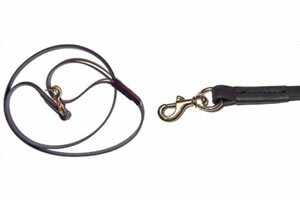 Our Sport Leash is a step above real leather in it's performance in adverse weather conditions. Soft in the hand even in the hardest conditions.